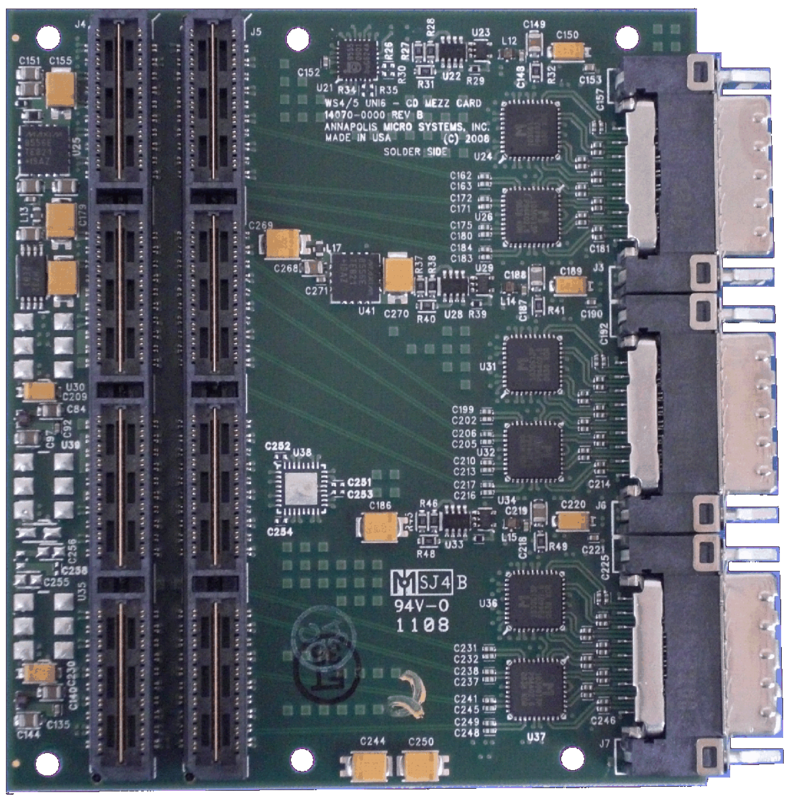 There are three connecters per WILDSTAR Universal 6 Gigabit Serial CD Mezzanine Card, and four full duplex communication channels per connector. 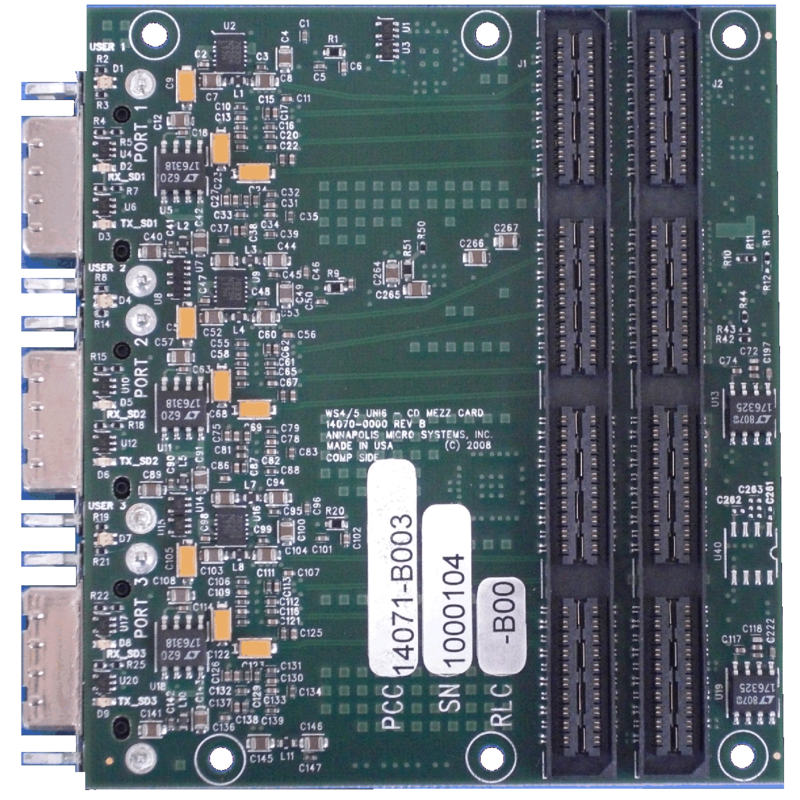 This allows each WILDSTAR Universal 6 Gigabit Serial CD Mezzanine Card to handle up to 6 GBytes/s full duplex. There are Cable Drivers on each connection for additional signal integrity and copper cable length.